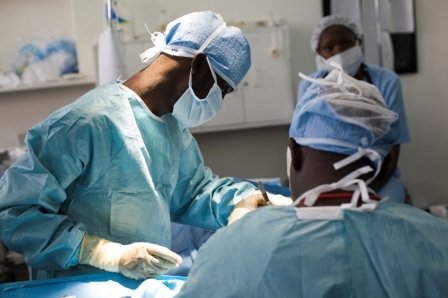 One man has narrated how his niece who was born with an underdeveloped oesophagus in Lagos University Teaching Hospital (LUTH), but the doctor who eventually performed a life changing operation on her was a Nigerian surgeon here in Nigeria. The doctor did such an amazing job that when the the little girl's family relocated abroad, the white doctors there were shocked and wanted to meet this wonder working Nigerian doctor. Let me give my own testimony. For the better part of a year I suffered from double vision. It was so bad I could barely walk. I went to different eye doctors who couldn't diagnose the cause. One day God directed me to a hospital where I met an Optician who was attached to LUTH. The man did a minot examination and recommended some changes to my glasses. He told me I needed cyllinder (axis) in my specs and prescribed a fresh one for me. Within three days of wearing the new specs, the double vision disappeared! We have really great doctors in this country, part of the problem is poor funding and ill equipped hospitals.